This is a general overview of Adaptive Vision Studio software. See it to quickly get to know what we can offer to you! 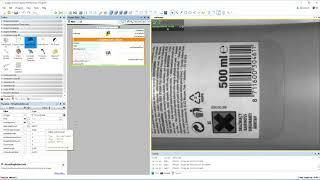 This video presents how you can read barcodes of given format using the ReadSingleBarcode filter (ReadBarcodes: Single) in Adaptive Vision Studio 4.8. 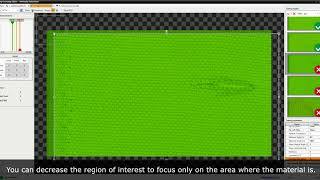 This video presents how you can count and classify (defected / not defected) objects in an image using the Blob Analysis technique and some region feature (here: area) in Adaptive Vision Studio 4.8. 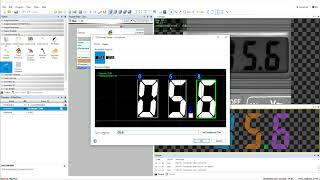 This video presents how you can read DataMatrix codes using the ReadDataMatrixCodes filter in Adaptive Vision Studio 4.8. 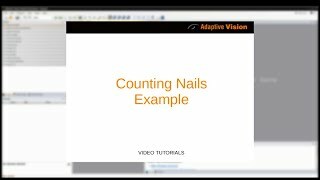 This video presents how you can count objects (here: nails) in an image using the Blob Analysis technique in Adaptive Vision Studio 4.8. 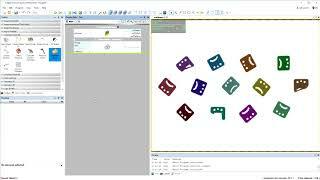 This video presents how you can sort blobs (representing objects of different sizes) using the Blob Analysis technique in Adaptive Vision Studio 4.8. 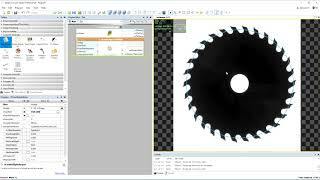 This video presents how you can count teeth of a circular saw using the 1D Edge Detection technique in Adaptive Vision Studio 4.8 . 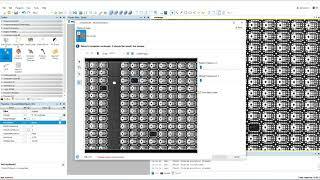 This video presents how you can calculate wafer area covered by chocolate using thresholding (for extracting chocolate) and a formula (for performing calculations) in Adaptive Vision Studio 4.8). 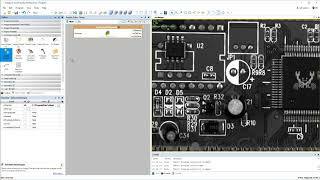 This video presents how you can locate a capacitor on a board using Edge-Based Template Matching technique in Adaptive Vision Studio 4.8. This video presents the 1st part of Bottle Inspection series in Adaptive Vision Studio 4.8. In this part you'll start from scratch by loading images and counting present bottles. 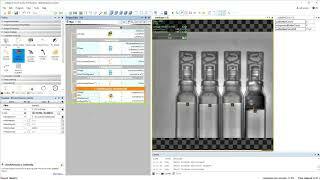 This video presents the 2nd part of Bottle Inspection series in Adaptive Vision Studio 4.8. In this part we'll continue with the program from the previous part to find liquid levels in bottles. 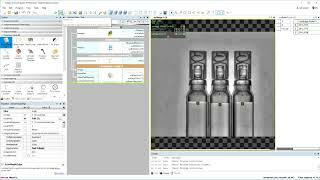 This video presents the 3rd part of Bottle Inspection series in Adaptive Vision Studio 4.8. In this part we'll continue with the program from the previous part to find foam in bottles using a color analysis tool. This video presents the 4th (final) part of Bottle Inspection series in Adaptive Vision Studio 4.8. 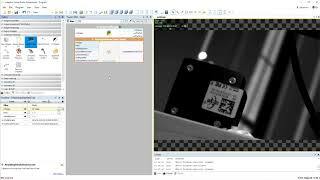 In this part we'll use the program from the previous part and visualize results for it using the built-in HMI Designer. This video presents how you can read number from an image using the OCR technique in Adaptive Vision Studio 4.8. 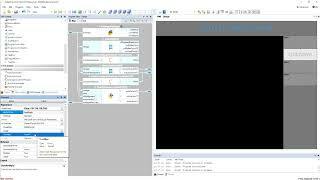 This video presents how you can detect missing chips using the Gray-Based Template Matching technique in Adaptive Vision Studio 4.8. 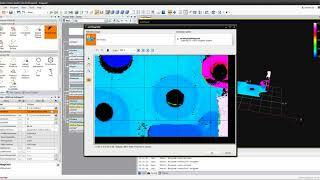 This tutorial presents the very basics of Adaptive Vision Studio 4.11 environment. 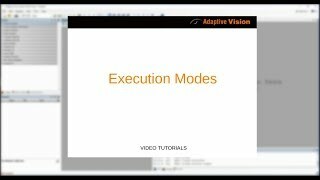 You will learn how to create and execute easy programs, so it's the right place to start if you're completely new to Adaptive Vision Studio. This tutorial demonstrates how you can load images from disk or grab them from a web camera in Adaptive Vision Studio 4.11 environment. 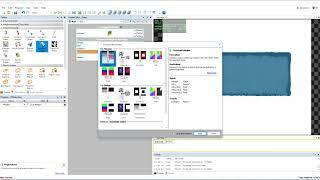 It introduces the Image Acquisition category in the Toolbox which is a starting point from loading images to your program from various sources. 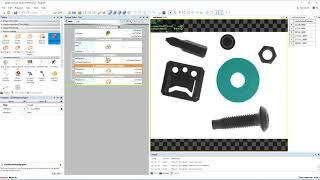 This tutorial shows how to get started using GigE Vision cameras in Adaptive Vision Studio 4.11. This tutorial shows how you can grab images using the GenICam standard in Adaptive Vision Studio 4.11. Please note, that you need to have a GenTL Provider for your camera installed on your PC. 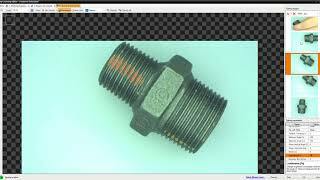 In this tutorial we show how you can grab images using an industrial camera and its native drivers in Adaptive Vision Studio 4.11. In the video we're using a Basler USB camera and a dedicated filter. Please note, that to use this kind of image acquisition you need to make sure that your camera vendor is supported in AV Studio and that you have installed proper camera drivers. This tutorial is an introduction to the concept of macrofilters in Adaptive Vision Studio 4.11. You can use macrofilters to create your own re-usable subprograms or to simply make your program well organized. In this part of the tutorial we're introducing the tools available for Preview Panels in Adaptive Vision Studio 4.11. This tutorial presents the concept of optional (e.g. Region*) and conditional (e.g. String?) port in Adaptive Vision Studio 4.11 and corresponding to them respectively special values: Auto (optional) and Nil (conditional). In this video we'll go through the most common types of connections (normal, conversion, array and conditional connection) in Adaptive Vision Studio 4.11. There can also be more complex types of connections such as e.g. a conditional array connection - the good news is that they are created automatically, you just need to understand the main concept. This tutorial is an overview of dialog edit plugins in Adaptive Vision Studio 4.11. We'll present here plugins for editing paths, fitting fields and regions (but please note that there are also other types which can be edited in dialog edit plugins). This tutorial shows you the basics of creating HMI for your projects in Adaptive Vision Studio 4.11. This tutorial demonstrates how you can perform Template Matching in Adaptive Vision Studio 4.11 using a model created with a graphical editor. 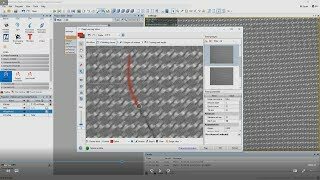 This tutorial presents how you can use Blob Analysis technique in Adaptive Vision Studio 4.11 to count nails among other objects in an image. 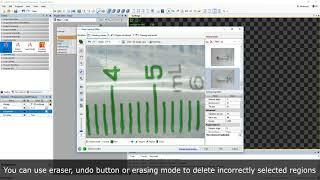 This video presents how you can detect various defects in the textile by using the Deep Learning Add-on in Adaptive Vision Studio 4.10. This video presents how you can inspect threads using the Deep Learning Add-on in Adaptive Vision Studio 4.10. 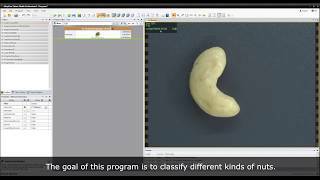 This video presents how you can distinguish between different kinds of nuts by using the Deep Learning Add-on in Adaptive Vision Studio 4.10. 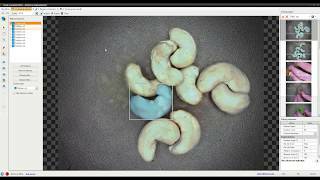 This video presents how you can find different types of nuts by using the Deep Learning Add-on in Adaptive Vision Studio 4.10. This video presents how you can distinguish between the front and the back side of a bottle cap using the Deep Learning Add-on in Adaptive Vision Studio 4.9. 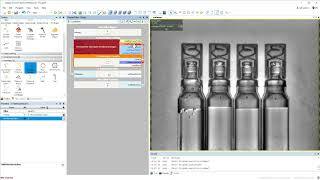 This video presents how you can detect rubber rings and print in the syringes using the Deep Learning Add-on in Adaptive Vision Studio 4.9. This video presents how you can inspect textiles using the Deep Learning Add-on in Adaptive Vision Studio 4.8. 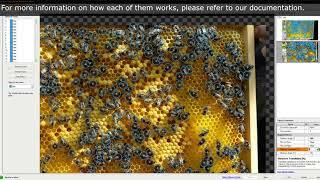 This video presents how you can find multiple bees present in the video by using the Deep Learning Add-on in Adaptive Vision Studio 4.11. 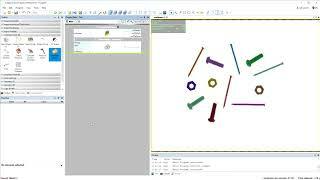 This video presents how you can fit circles to the holes in the surfaces in Adaptive Vision Studio 4.10.